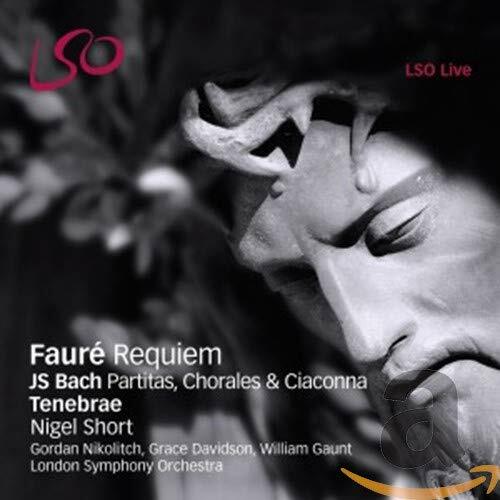 G.Fauré / J.S.Bach Requiem et al. If the performance and recording of the Fauré Requiem (in the slimmer second, 1893 version) on this disc weren’t one of the most powerful and satisfying, transparent and focused, all the clever programming around it would be for naught. As it is, it’s a co-principal delight to hear a first half of Bach, chorales and the D minor Partita interspersed. Based on sheer speculation, the Partita’s Chaconne is then set to Lutheran chorale tunes; an alleged tribute to his first wife. It’s been done before (on ECM’s “Morimur”), it was silly and gorgeous then and it is silly and gorgeous now: Musicologically daft and musically satisfying… and tremendously gorgeous!